Under A Cherry Tree: Happy National Coffee Day! So I heard that today is National Coffee Day. Really? I thought that everyday already is, since I can't start the day without my Americano. 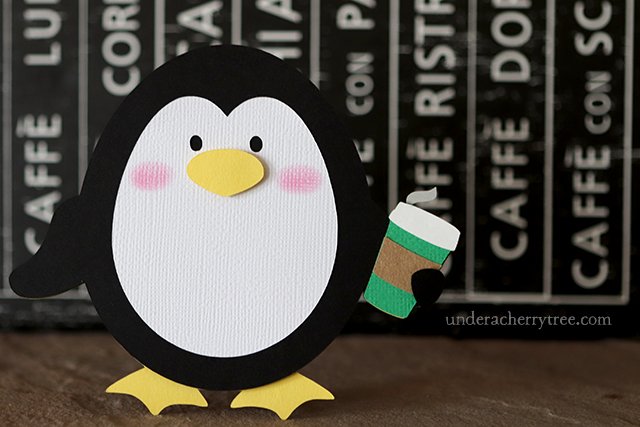 Just for fun, I made the Peepsicles Penguin ditch its ice-cream for a cup of joe. I think he looks pretty cute with it. Heh. To all of you coffee-lovers out there, hope your coffee is fabulous. Enjoy your drink and have a great weekend!